For children, preparation for the sacraments of Reconciliation and Holy Communion traditionally begins in the first grade Religious Education program with immediate and formal preparation in the second grade. 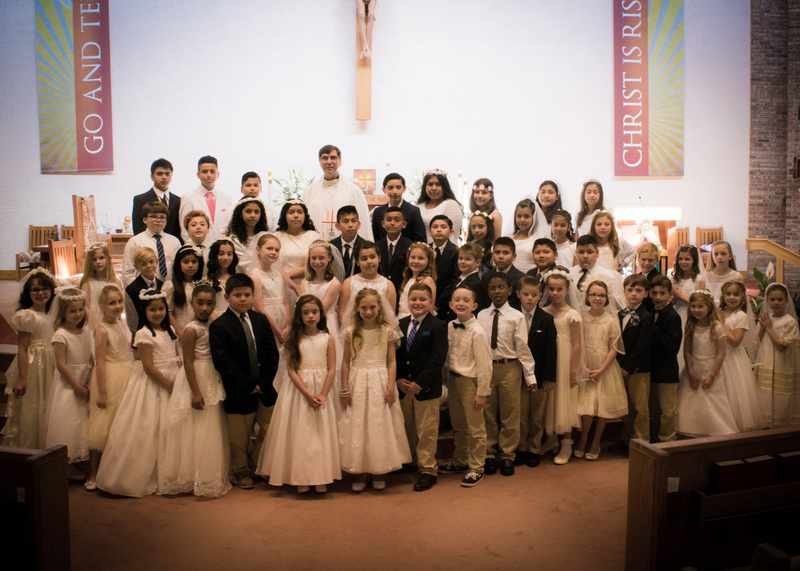 Both sacraments take place during the second grade class year. Children who come to the Religious Education program from other areas must bring a written record of the previously completed and current Religious Education grade levels. Children who enter the program at an older age will have 1 year of traditional grade level catechesis and then be grouped and instructed according to grade level. There are 4 – 6 required classes for the parents of children receiving these sacraments. Some classes include the child while some classes are for parents only. Please click on this link to get more information on how to sign your child up for preparation in Religious Education classes.